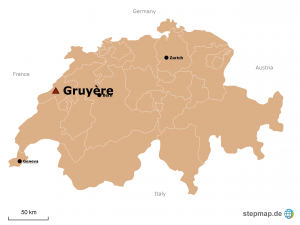 The Gruyère has its origin right in the heart of the foothills of the Fribourg Alps. It is undeniably one of the most influential Swiss cheeses with its history dates back to the pre-Roman era. This particular Gruyère has been fully matured over 18 months and enjoys an aromatic-fruity flavour with a savoury, salty base. It’s simply a Rolf Beeler master cheese. Use Table cheese. Fondue cheese. 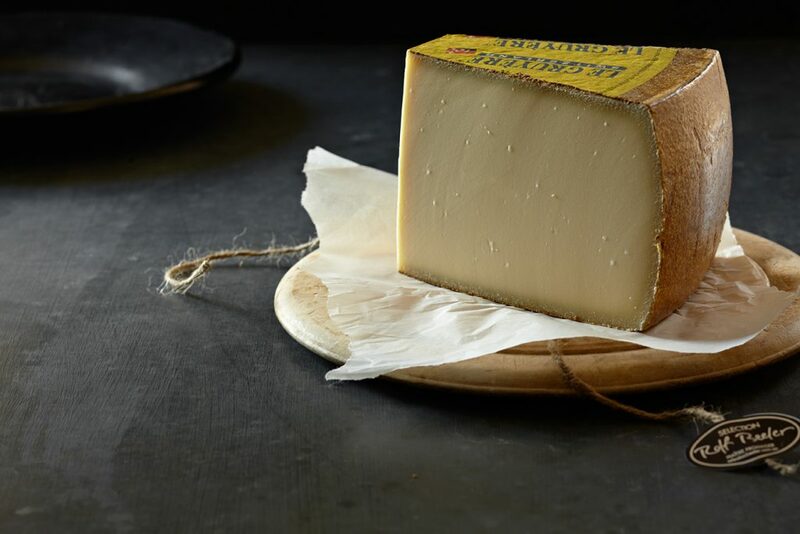 Beverage match* Vin Jaune from France is a simply wonderful match for this Gruyère. Try the 2002 Jacques Puffeney Vin Jaune.